This week, we’re bringing back an old favorite article of ours. Enjoy! 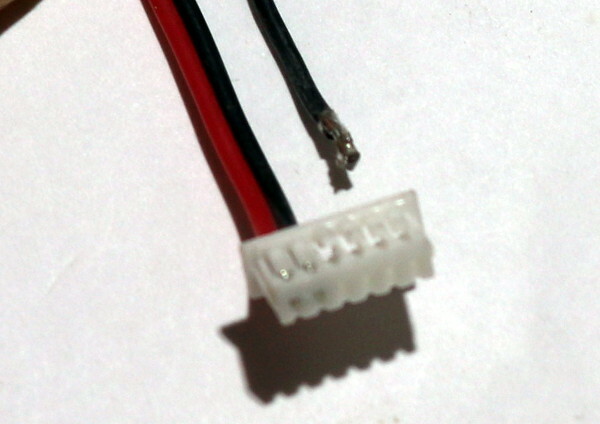 Connectors are slowly finding their way back into our racing quadcopter parts. While video transmitters and FPV cameras have always had connectors, many of the best flight controllers on the market today now give you the option of using JST-SH connectors alongside the familiar through-hole or soldering pads. For reference, all of the connectors pictured above were found in the parts box for our upcoming Armattan Chameleon build. If you have the proper tools and skills, using these connectors are hands down the easiest way to build a good looking, easy-to-repair quadcopter. Connecting this 4-in-1 ESC and flight controller with a JST-SH connector makes this quadcopter very easy to repair. Connectors are removeable. When you use them you are making the conscious choice to be able to easily remove and replace any of the components on your quadcopter without having to heat up the soldering iron. This has fantastic advantages at the field, but is also less risky. 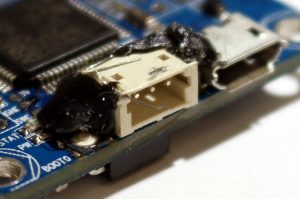 I’ve done my fair share of damage with my soldering iron when attempting to “re-solder” through-hole connections, and I’m sure many of you have too. Connectors are the answer to this. Connectors are more durable. While it may seem that using a metallic glue (solder) to hold your wires in place is the best method to use for durability – the opposite is actually the case. When you flow solder down a copper wire, you make it very brittle. It only takes a few bends before it breaks. On the other hand, a good crimp is extremely secure and can withstand not just bending loads, but equal tension loads to soldering as well. In most cases, the copper wire breaks before the crimp gives way. Finally, connectors are more prone to “popping out” of their sockets when stressed rather than breaking. This is great – just pop it in and keep flying. No repairs needed. Why doesn’t everyone use connectors then? Because they are confusing and often require expensive tools to properly perform crimping. In this guide, we’ll offer you some tips and tricks for (1) identifying connectors used on your quadcopter parts and (2) ways that you can use them in your build. Identify which pins you want to use in your build. This should be done by consulting the manual or pinout diagram for the part and comparing it with your wiring diagram. Remove the pins you don’t want to use. This can be done by removing them from the connector (see below) or cutting the wire off at the connector. Insert the part into your quadcopter and measure how much of the wire length you need. Clip the wire at that length, with a little bit of play. Remember building rule #1: measure twice, cut once! If you mess up, though, you’re not totally screwed – see “repairing broken connectors” below. For soldering pads – just solder the wire down. For through holes, you can solder the wire in, or install a pin in the through-hole and install a dupont servo connector on the wire. If the connector needs to go to another connector, you’ll need to do some splicing (see below). Removing the pins from a connector is a useful skill to have. You can do it to customize your connector by removing unused wires or to repair broken or improperly clipped wires. 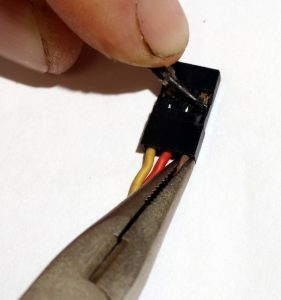 The process of installing a pin into a plastic connector body is the opposite: gently push the pin into the connector body with the barb facing upwards towards the plastic tab. When inserting pins into the connectors – they only go in one way. Don’t force it. If you bend the plastic tab up too much when removing the broken pin, you may need to bend it back downwards so the new pin “locks” in place. Give the wire a good snug tug to make sure the pin has seated and locked in place properly. When you have two wires with pre-crimped connectors on each end that you need to connect together, your only option is to splice them. Splicing is the act of joining two wires together. 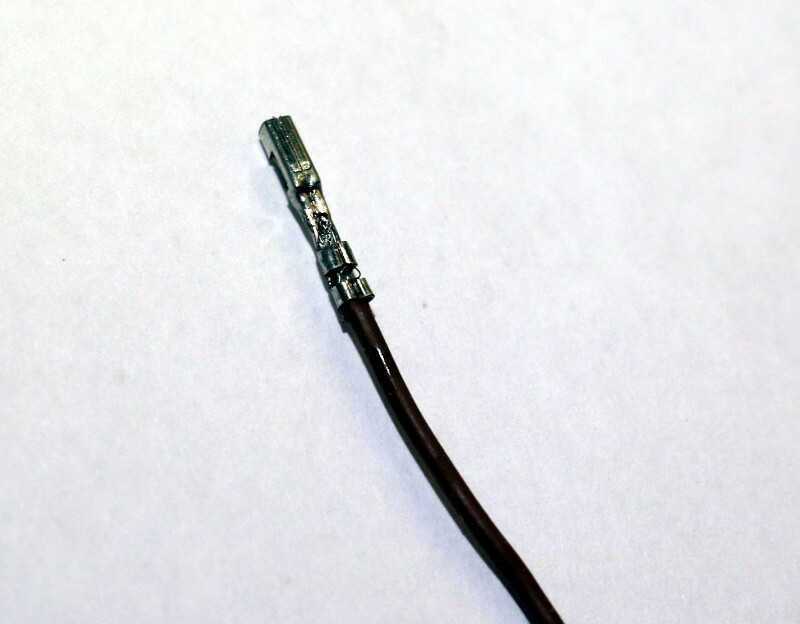 I highly recommend you do not just place the wires end to end and apply solder – this type of join is very susceptible to breaking because solder does not have a lot of strength by itself. Once you’re done with the splice, make sure you slip some heat shrink over it. You don’t want exposed wiring anywhere in your quadcopter build. 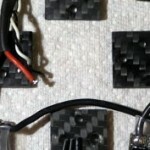 Remember: carbon fiber is conductive! For the cleanest possible builds, you’ll want to be able to crimp your own connectors. By doing this, you can build fantastically neat wiring harnesses of the perfect length. However, you’ve got to first identify what types of connectors you are dealing with. This can be quite daunting – all of the connectors pictured above are different! It also doesn’t help that many retailers mis-label connectors and tools for use with them. We’ve even seen this from big retailers like HobbyKing. Always triple check that you are ordering the right parts! Fortunately, the identification process is pretty easy if you understand the concept of connector pitch. 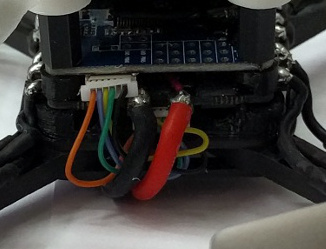 Most connectors found on our quadcopters look very similar. The big difference between them is referred to as their “pitch”. This is the distance between each pin in the connector. You can determine the pitch of your connector with a pair of calipers. Measure the distance between the first pin on the connector and the last. Then, divide that number by the number of pins minus one. This is the “pitch” of the connector. In the next section, we will introduce the most common connectors found in the hobby, and will include pitch values for each connector. Simply find the similar looking connector in the list below with the same pitch and chances are high that it is the same connector used on the part in question. 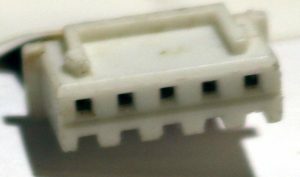 This is a small plastic connector that is commonly seen on the side of many flight controllers on the market. It is also used on many video transmitters and RC receivers, such as the FrSky XSR. 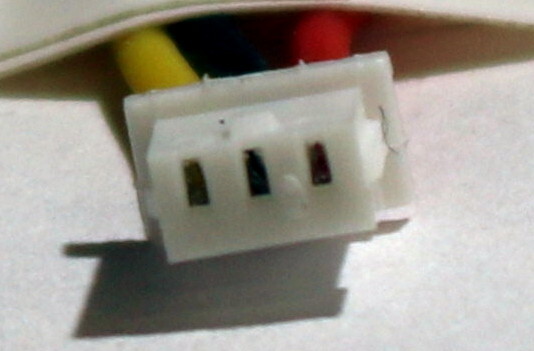 This connector has a plastic locking tab that seats the male connector into the female housing. It is most commonly seen on 5.8GHz video transmitters, like the TBS Unify pictured above. 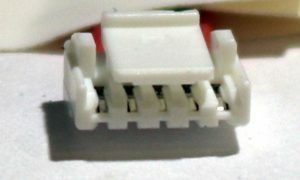 This connector is very similar to the JST-SH connector but is slightly larger with .25mm more spacing between pins. 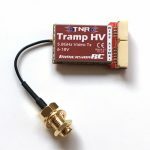 It is used in almost every FPV camera on the market. It is also used with Futaba receivers and the micro servos you can buy from HobbyKing. 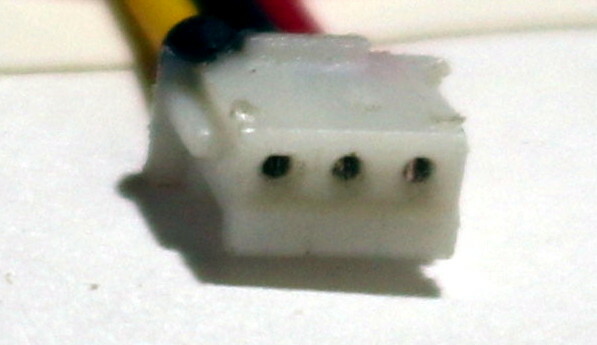 This connector is the first of the wider-pitched connectors used in our quadcopters which have round or square pins. It is used for Spektrum satellite receivers as well as the Spektrum race receivers and their ports. This is a relatively large connector that is almost exclusively seen on battery balance leads. We include this in our list because most miniquad pilots will experience the frustration of chopping up a balance lead at least once in their tenure. Being able to fix them can save a ton of money. 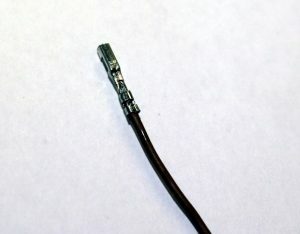 Last but certainly not least is the classic “servo connector” used throughout the radio control hobby. 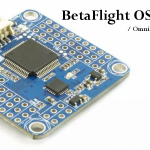 In miniquads, we often use these to connect wires to pin headers that are soldered onto through-holes on the flight controller or PDB. 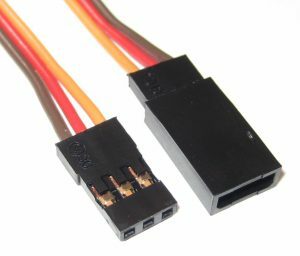 These connectors are super cheap to buy and easy to work with. However, they are also pretty bulky. It is getting hard to fit more than a few of these connectors into most of the tight, modern quadcopter builds. Many of the guys who have been in the hobby for awhile may be familiar with the fact that not all servo connectors are created equal. Specifically, there are “JR” servo connectors and “Futaba” connectors. 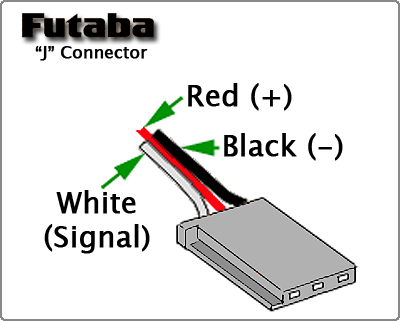 The big difference is that the Futaba style connector has a small plastic tab on the signal side of the connector. 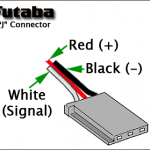 In Futaba style receptacles, this tab makes it impossible to insert the connector in backwards – quite a handy feature. Fortunately it is easy to convert between Futaba and JR connectors – simply clip off the plastic tab of the Futaba connector with a pair of wire cutters. It is now a JR connector, which will insert into both JR and Futaba receptacles. Great! Still can’t find your connector or want more pictures? This identification guide found at Micron Wings has a more extensive list of connectors as well as some additional information I didn’t include here, like pin shape. Crimping is the process of squeezing metal pins around a wire so that the two form a strong bond that cannot be easily separated. 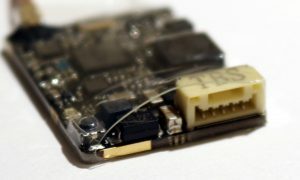 It is the major step in making your own connectors using just wires, pins and plastic connector bodies like the ones you can purchase above. 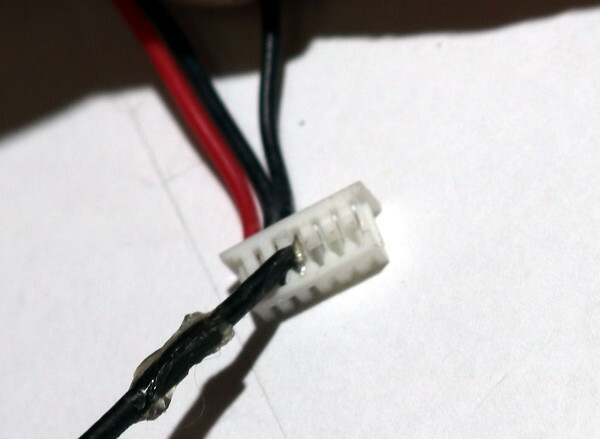 Crimping your own connectors is the ultimate way to get a fantastically clean quadcopter build. 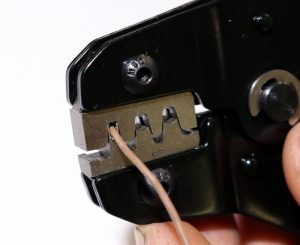 With splicing, you are restricted to lengths of wire between connectors of at least 2cm, for a good splice. It also forms a hard, straight length of wire where the splice is done. 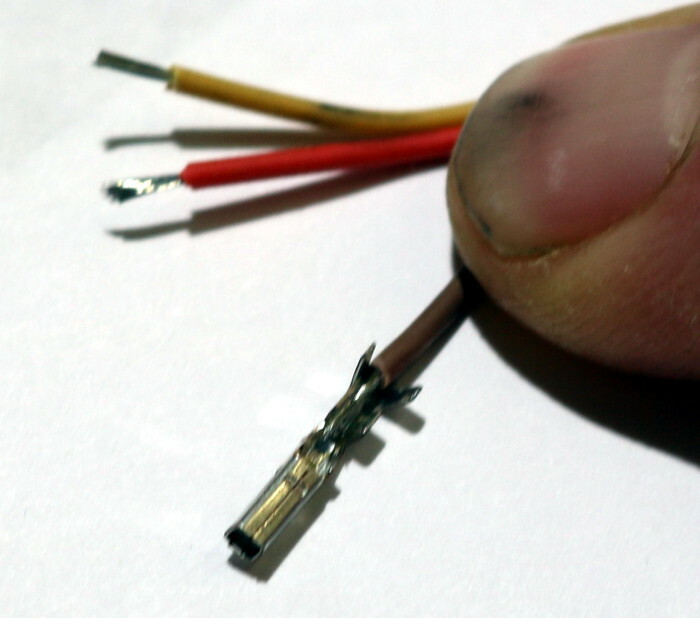 By crimping your own connectors, you will be able to remove these disadvantages and have one clean length of wire running to all your parts. When buying a crimping tool, you need to be extra careful to buy one that supports the types of connectors you need to crimp. If you just want to crimp servo connectors, you can pick up a tool for about $25. If you want to crimp small JST-SH connectors, you’ll need to spring about $55. Make sure you read reviews or comments when buying a crimping tool to ensure that others have commented on experience using that tool to crimp the connector you want to use it with. Buyer beware! 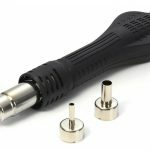 HobbyKing sells a cheap crimper that it claims is for JST-SH (small) connectors. This crimp is not for JST-SH connectors, but for servo connectors. 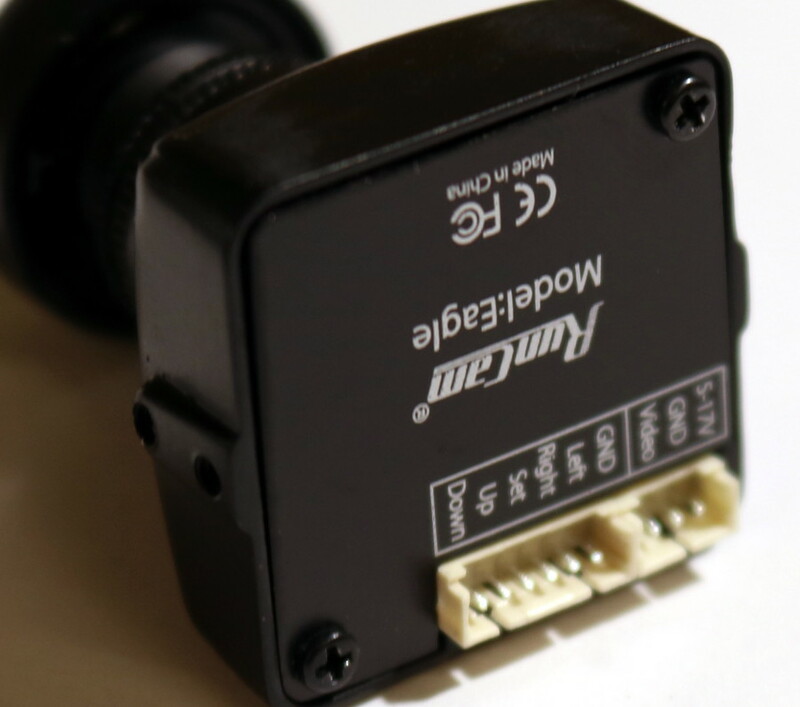 In the product pictures it even shows servo connectors being crimped. Don’t get misled! 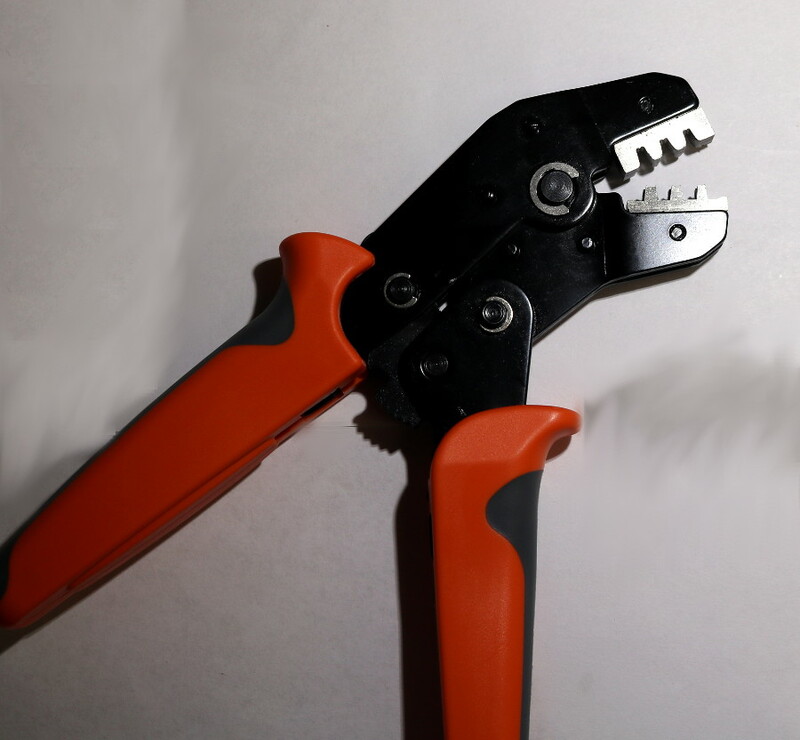 This is a crimp tool which can be used with larger connectors like servo connectors or JST-XH varieties. It is extremely high quality for the price. You can pick it up here. In addition to the crimp tool, you’ll also need some wire and the proper pins and connector bodies. For the connector parts, find the appropriate part in our tables above. For wiring, we suggest using 26 or 28 gauge wire. You can purchase a ton of it in ribbon cable format here. Another option is buying it with silicone sheathing, which is much more durable but also more expensive. This can be purchased here. The wire sheathing should be inserted just inside of the outside tabs on the pin to be crimped to provide strain relief. This type of two-part crimping scheme is pretty common among all pins. Make sure that you always line up the wire accordingly. For smaller pins, this can get difficult – just be persistent! Next up, squeeze the jaws shut to get your crimped connector! Once you’ve done a few, the process shouldn’t take more than a few seconds. Once again – this is a helluva lot easier than soldering. I like to test each crimp by pulling the wire and connector apart with about 5lbs of pressure. If it’s snug and doesn’t slip, you have a good crimp. Once you’ve crimped all your pins, simply insert them into the plastic connector bodies. The process is described above, but essentially you need to install them so that the barb is facing upwards. It will get retained by the locking tabs on the pin. Looking for more guides and tips? Check out our Drone Racing Guide for more!